chosen as their "A" element will be featured in their post. 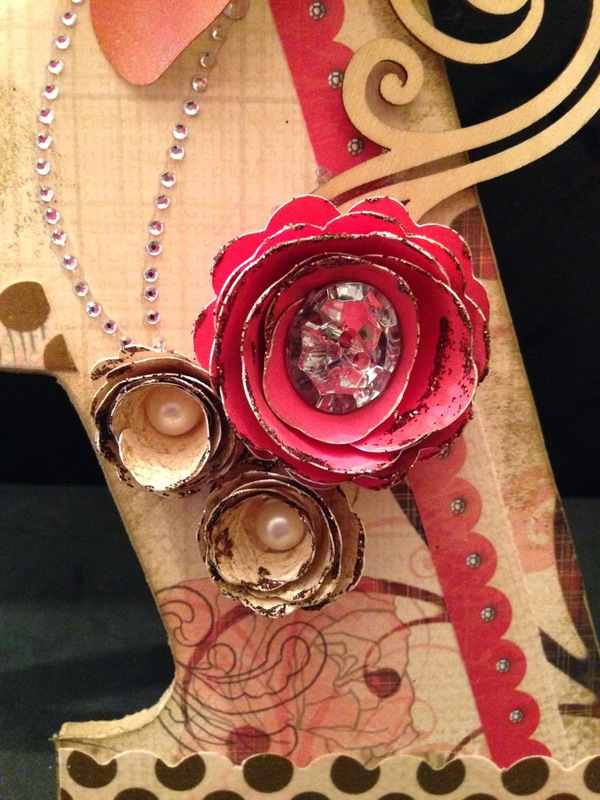 If you came from Jenny of Jen's Creative Classroom then you're on the right track! 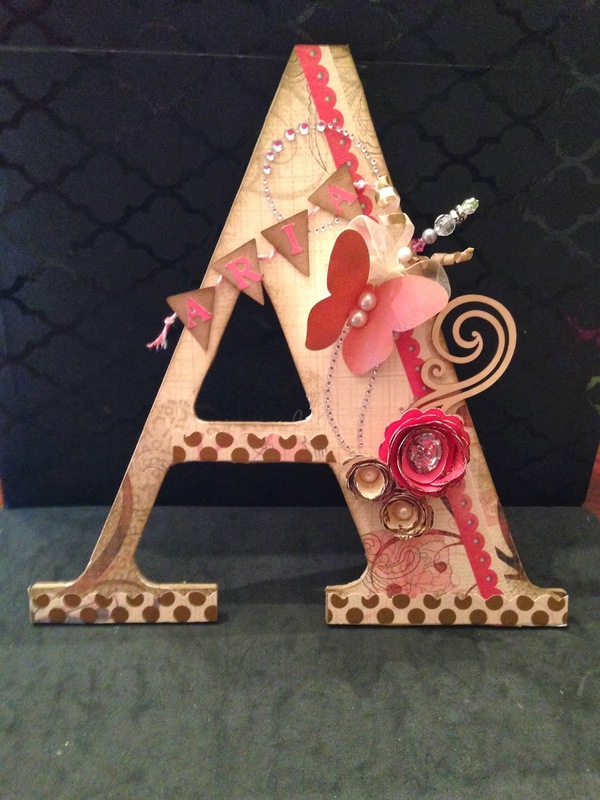 The Letter "A" represents my daughters name Aria as well as an Altered A!! I had a wooden letter A I bought from Hobby Lobby over the summer. I planned to alter it so she can put it on her door or wall of her room. I never got around too it!! This hop made me hop on along and get "A" done!! I have tutorial at the end on how I distressed A. 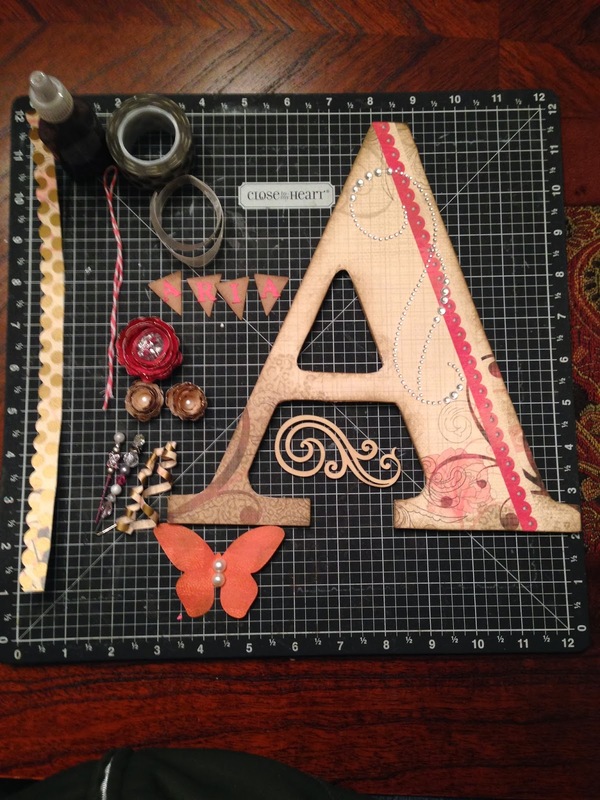 Here is my Altered "A". I love how it turned out. 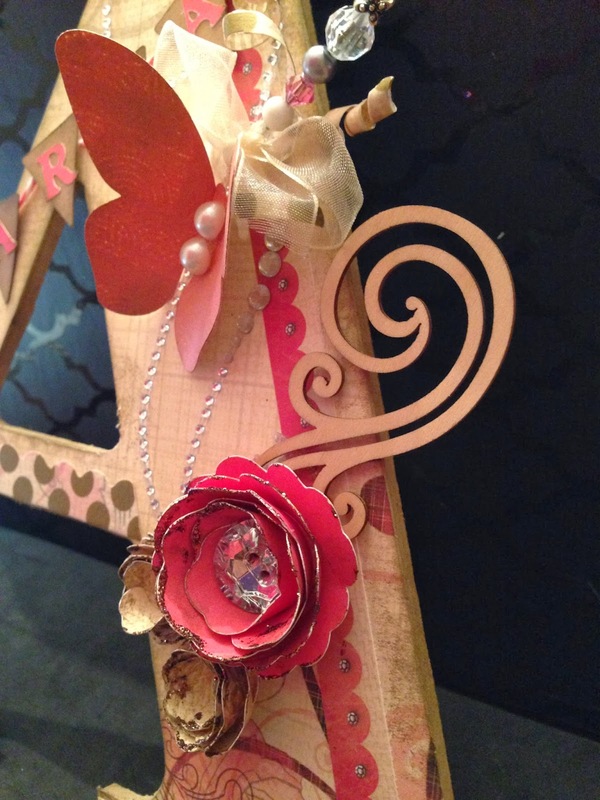 I used Roxie (retired paper and a host of other fabulous CTMH products. Below are pictures from start to finish of how I altered "A". 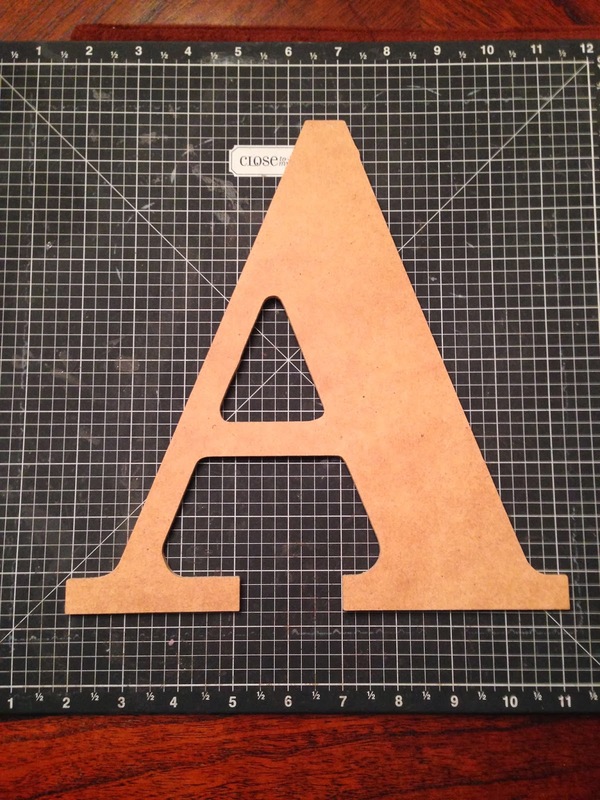 This is the wooden A with no alteration. 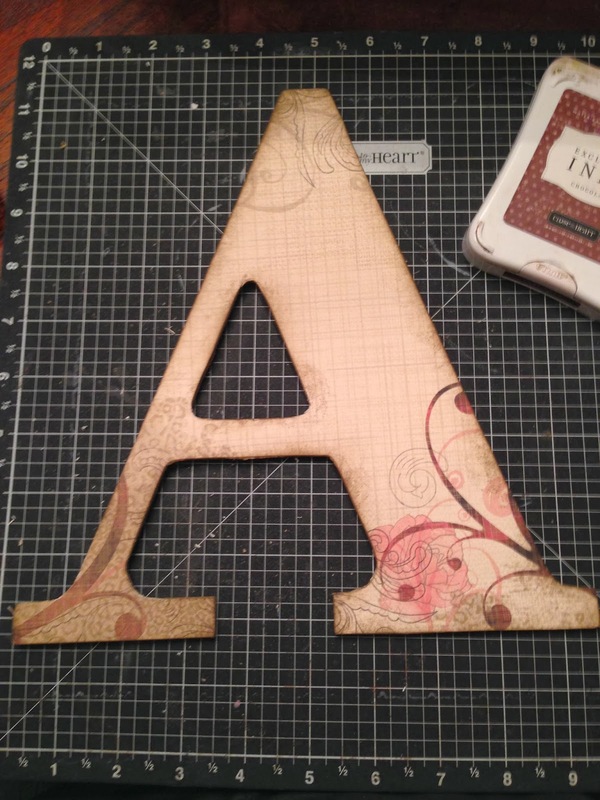 I started by adhering the paper to the wooden A. I did this using Elmer's spray adhesive. Makes it quick and easy to adhere with no issues. I then used my exacto knife and cut the excess paper from around the letter. I used a combination of the CTMH Sanding Kit and Texture Tools (if you want this the last day to get it is Jan. 31st it is retiring!!!) 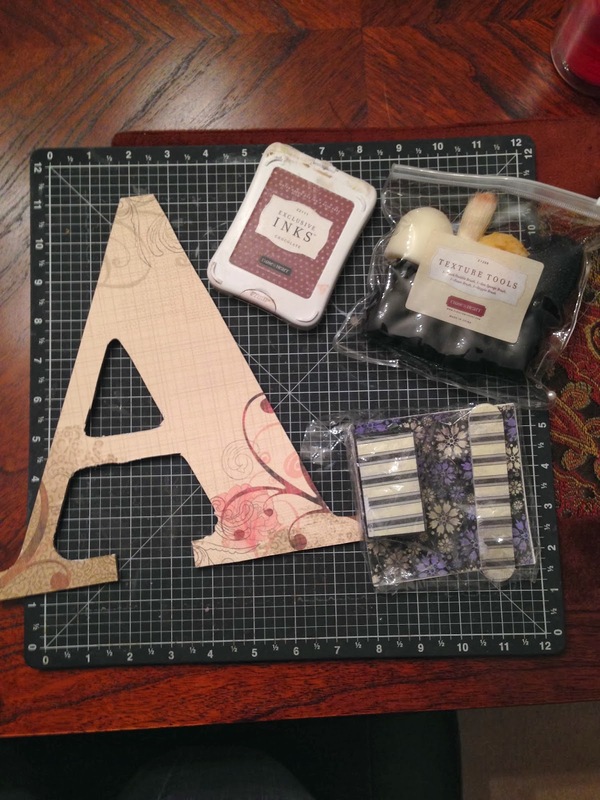 to distress the A using Chocolate ink. This is the A after I distressed the edges. What a big difference. I love the look distressing provides! Here are all the items i used to decorate A. I used the Gold Polka Dot washi tape (Available in the Cloud Nine kit this month for $15 with a $35 purchase!!!). I cut a strip of paper. Adhered the washi tape and then used my scallop punch to make the design. I also made 2 curly's from the strip left over from using the scallop punch. I curled the washi/paper using my CTMH piercing tool. I used the Artiste cricut cart to cut out the flowers. I cut the big one at 3 inches and the little ones at 2 inches. You can find these on page 54, Accent 1, f. I used Smoothie card stock for the bigger flower and Roxie paper for the smaller flowers. I used a pearl from the Opaque Pearl Adhesive gems (retiring get yours now!!!!) for the inside of the small flowers and a big bling button gem(retired) for the larger one. I went around the edges of the flower with the Bronze Glitz Glitter Gel (this is retiring get yours now!!) To make the banner with my daughters name in it I used the Art Philosophy cricut cart. I cut 4 pendants from pg 49 and I cut the letters using the Font, Shift Lock key to make them capital. I used Smoothie and Kraft card stock. The pendants were then attached to Bakers Twine Paradise Assortment Smoothie. The butterfly is from the Art Philosophy cricut cart. I stamped it using the Hostess Reward stamp set Washi Wonders using Smoothie ink and distressed the edges using chocolate ink. I sprayed it with some Heirloom Gold Perfect Pearls Mist to give it some sparkle. 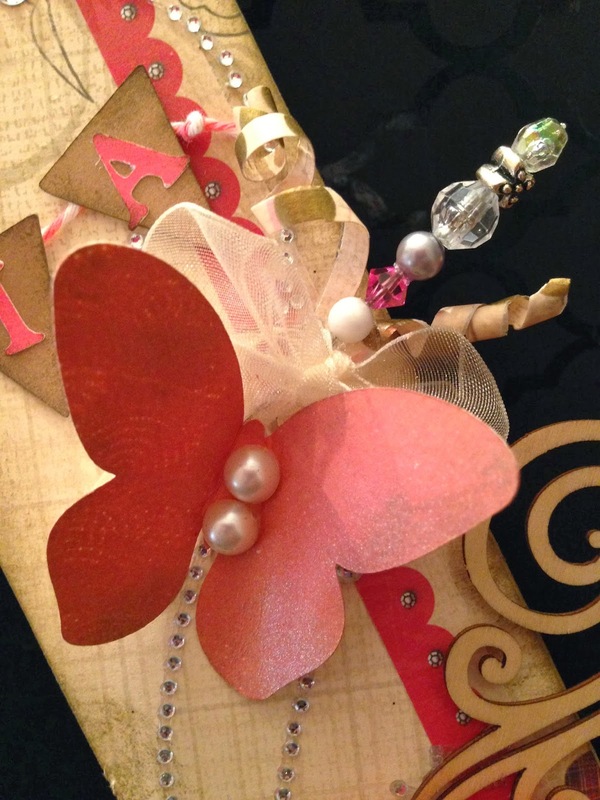 I used the pearls for the center of the butterfly. As you can see I used a host of CTMH products to finish this beauty!! I added two pins I had from a swap I was in last year. I tied a bow around them using CTMH Organdy Basic ribbon (retired). I also had a wooden shape from the Mini Medley Accents Wooden Collection. I used a Sparkling Flourish up the right side of the A. A close up of the butterfly and paper washi curly. I hope you enjoyed my Letter "A". Thank you for hopping and happy crafting!! 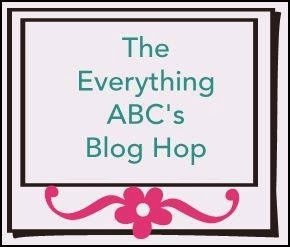 Your next stop on our Everything ABC'S blog Hop is Wendy of My Scrapbooking Blog. Wow, this is amazing! Great job and it definitely fits the letter A theme. I am sure your daughter will love it. Great job ! This is A awesome artwork! Applause! I love all of the little elements that your project has. Even the embellishments are embellished! Your daughter is über lucky. This is great! I love what you did, and I appreciate how you broke it down into the different sections of what you used and how you put it together! Thank You! Awww thanks GF AKA Candi O :-) I am trying to provide more how to and tutorials when I make certain projects.